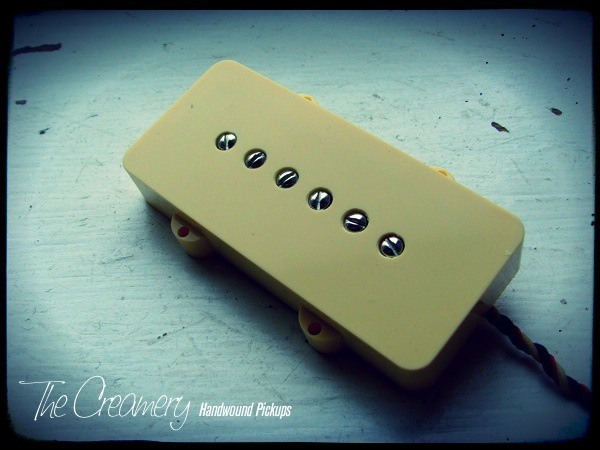 The Creamery 'Dark Star' is a hotter, fatter, dirtier, grittier & much more powerful P90 pickup for Jazzmaster with a unique full, higher output sound while still retaining much of that classic P90 grit. A modern rich & raw sound with a large, full-bodied drive whilst keeping great clarity and definition, especially under gain & effects/pedals. A great modern lead take on the P90 sound for a bridge position playing. Single conductor, braided shield lead wire. Choose from Alnico 5, Alnico 8 or Ceramic options. This is an altogether dirtier, grittier sound than my Jazzmaster 'Dark Star' true single coil version.